Oh the emotions of Christmas! Yesterday, as I was unpacking in preparation of decking my "halls with boughs of holly," I came across a picture of my son's first Christmas. As I looked at that little boy, full of life and bursting with anticipation, I said out loud to my self, "If only he were that little again!" Oh the fun we had just being together! My heart fell hard for that little boy and my heart has never fully recovered. Looking at him, frozen in time, I longed for a "redo," another chance to teach, to guide, and to simply be with him- mother and child. Oh, the things I would do differently! But, they grow up, leave home, and build their own lives with their own families. It is easy for me to get caught up in regret of the things that I failed to do or left unsaid. Did I tell you that I get emotional at Christmas? Waking up this morning I was thirsty and desperate for an encouraging word from the Lord. Forever faithful is my God. He whispered in my ear the word restore. I went quickly to my concordance and Hebrew Lexicon (I know I can't help myself - I am a word nerd!) and looked up restore. The word restore means to turn back, turn around, return, come back. According to my Hebrew Lexicon (Key Word Study Bible) it "essentially denotes movement back to the point of departure." At what point did I depart from the joy of decking my halls? The point of departure was in my thoughts. The Living Water was beginning to fill my mind and heart with truth, the truth that will set me free from regret, shame, and the lie that says, "You are a failure." I am choosing to believe that Jesus will restore my joy. As I reflect on God's grace I am reminded of the man my son is today. He is a faithful husband, a kind and caring father, a diligent teacher of God's Word, and above all else loves Jesus. I guess I didn't do such a bad job after all! In fact, I know it is Christ in me, my only hope of glory, who works powerfully in me, in my children, and in whomever He calls me to minister to. If you are struggling with your emotions this Christmas season, take His Word to heart, drink it in, chew on it, believe it, live it, and be restored by it! 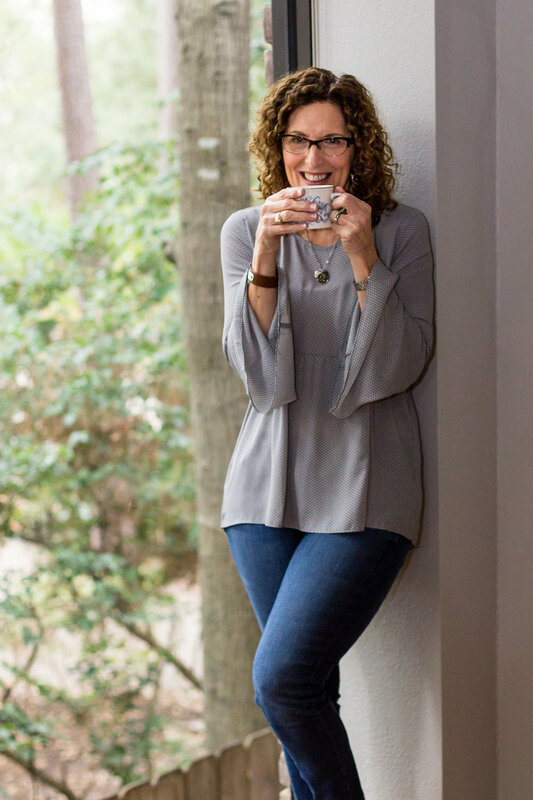 Nancy Taylor loves the Word of God and has a passion for sharing throughout the world the transforming power of God's memorized Word through teaching, speaking, writing, and mentoring. Prove the Word describes Nancy's writing and teaching ministry. Proving the Word simply means practically applying God's Word to your real-life circumstances. Welcome to my little corner of the world! I’m Nancy Taylor, but to my momma I’m known as Nancy Sue. I was born and raised in Texas. I spent the first half of my childhood in the country making mud pies, climbing trees, fishing in the pond behind our house and watching my dad chase black Angus bulls in our pasture. My life has since taken many turns and a few detours from simple to complicated, from carefree to concerned and from dysfunctional to delightfully transformed. By the grace of God I am who I am! No matter how far in the pit I have fallen, Jesus has never let go of me and continues to show me more and more of his faithful mercies day after day. His Word is my life, my delight, and my joy. Nothing thrills me more than to share with you the life-transforming power of God’s Word.